Miami-based Rilea Group will demolish part of a 32-year-old shopping center in Sunrise this summer to clear the site for a 288-unit apartment development. Rilea will demolish nearly half of the Pine Plaza Shopping Center, including a former Winn-Dixie grocery store, to build an apartment complex called Vista Verde at Sunrise. Businesses that will continue to operate at the shopping center include the AMC Sunrise 8 movie theater and a branch office of Pediatric Associates. Vista Verde at Sunrise will comprise eight buildings, each three stories tall, with a gym, swimming pool, dog park and boardwalk linking the apartment complex to Old Hammock Park. The apartments will have one-, two- and three-bedroom floor plans. 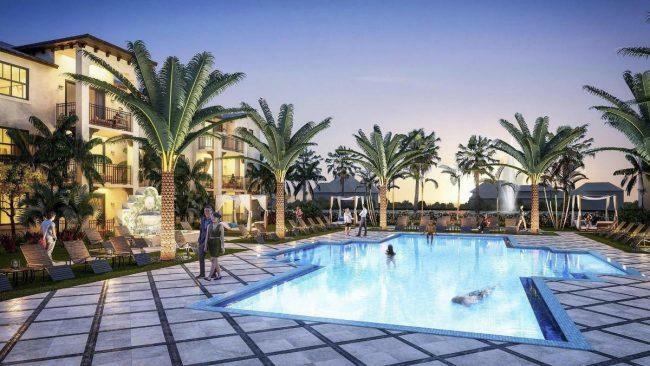 Construction of Vista Verde at Sunrise will start by September and will be finished in two years, according to Doron Valero, an investor in the $40 million project.